Let’s hear it for some random bits and pieces from our family to yours..
1. 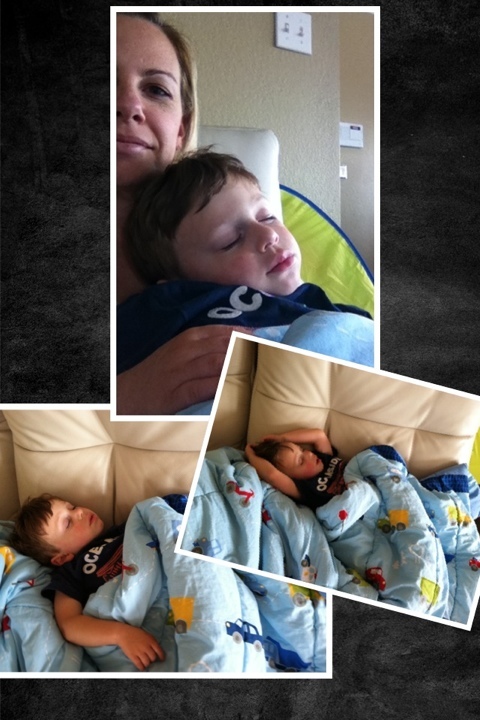 Max woke up with an out-of-flippin’-nowhere high fever on Sunday. He threw in a few screams of “My back huwts!! Wight here!” When he managed to point to the lower right part of his back a few times throughout the day, we knew he wasn’t screwing around. Hello Children’s Hospital ER at 9 pm on a Sunday. Pleasure to see you again. 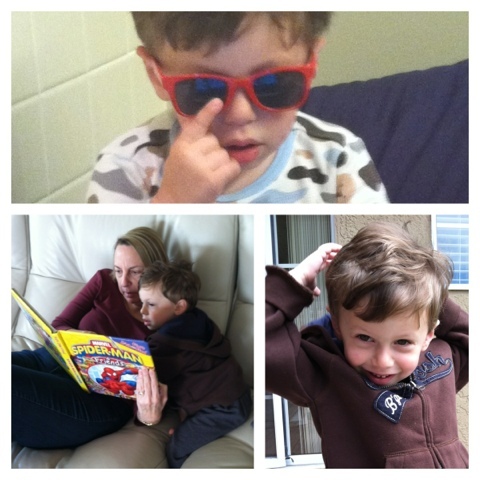 Thank goodness that Stanford Pediatrics has the best doctors, the nicest nurses, the most wonderful Child Life Specialists….I always feel so reassured by the phenomenal care that Max recieves there. We left at 11 pm after they ruled out a kidney infection (do not ask how they rule out a kidney infection on a 3 year old. I am not telling you, and Max definitely doesn’t want to talk about it either). Let’s just say that as we rounded the corner to leave the ER, Max yelled “PHEW! That was close!!”. Sean and I just about peed ourselves laughing. Sorry, bad pun. Once we got in the car, our over-tired, exhausted, practically falling over little boy asked “Daddy, can we dance? Turn the radio on! Turn the beat on!”. We danced it up for a good three minutes, and Max passed out cold. Now we’re just dealing with a crummy, regular ol’ fever. Resting. And watching the Cars movie. 2. Speaking of sleep. The pictures above are hard to make out, because they’re a snapshot of what our video monitor showed us the other morning. 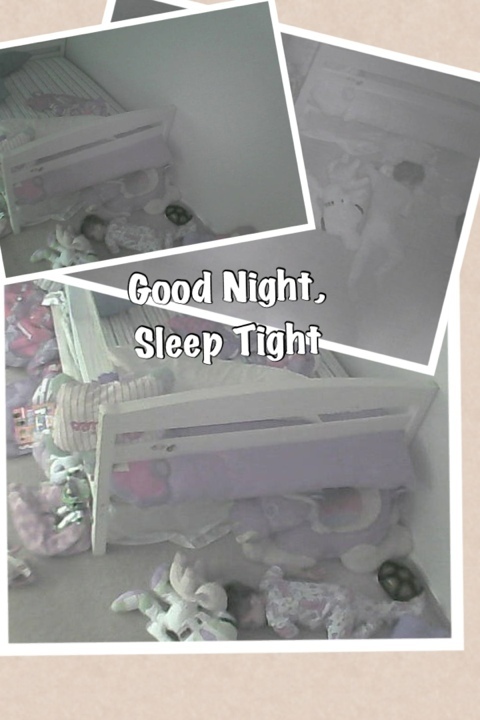 That is Max’s bed, and he is curled up on the floor at the bottom of the picture. Apparently he decided to climb out of bed in the middle of the night, and snuggle up on the floor. Who knows how long he slept down there, because he was so quiet about it! And yes, there are three hundred thousand stuffed animals, pillows, books and blankets EVERYWHERE. I know. He needs them there. It’s part of the bedtime routine. Don’t judge. 3. 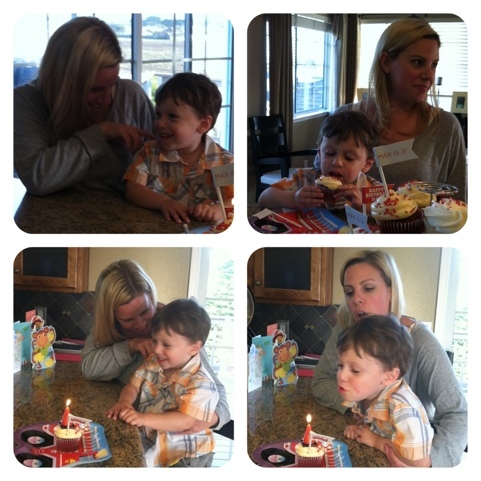 We’ve loved celebrating the birthdays of our friends this month! 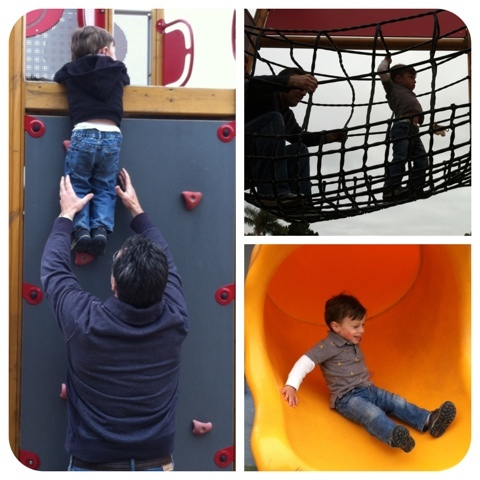 We joined our buddies E and M for their birthday party at the park…. 4. 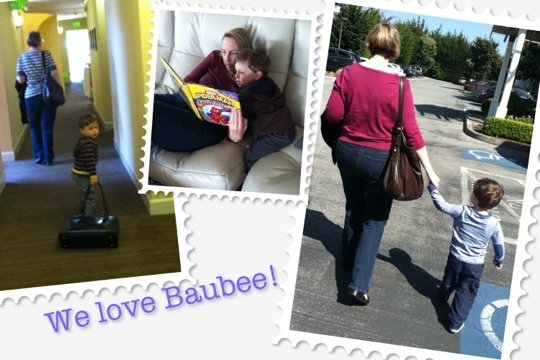 We hung out with Baubee for a week…. 6. And did I mention the birthday? In case you forgot that Max is now “fwee”, here’s a little cupcake to spark your memory. ← Happy Birthday Jack and Molly! Max makes me smile, especially with “turn the beat on!” Zaid loves to dance and if the radio isn’t on, he makes his own beat. It’s hilarious to watch (and amazing that he actually has so much rhythm). COULD THAT DAMN FLOOR SHOT BE ANY CUTER? I think not.